Active grandchildren and a few inches of fresh snow is a combination for wintertime fun! Celebrate those kids and the joy they bring to your lives with the 4 grandkids fun in the snow personalized Christmas ornament featuring bright, happy smiles and colorful caps. 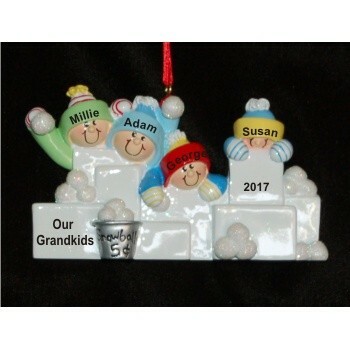 These wonderful grandparents ornaments arrive with each grandchild's name painted on by hand in a stylish font, and they're great personalized gifts for grandparents and grandkids too. 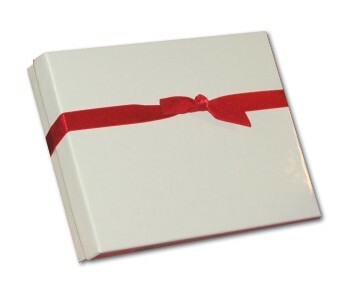 We include a display cord that makes it easy to show off this cute holiday decoration wherever it brings the most smiles. Bring snowballs full of delight this year with the snow fort 4 grandchildren personalized Christmas ornament that arrives in our gorgeous velvet gift bag.